Ateneo De Manila University (ADMU) president Jose Ramon T. Villarin, expressed his apology on public after some photos circulated on several social media showing former First Lady Imelda Marcos attending an event in the university last Saturday, July 5. The event was the 40th anniversary celebration of the Ateneo Scholarship Foundation (ASF) on which Imelda Marcos was invited to deliver a speech because the organization “began with a donation from the proceeds of a Van Cliburn piano concert that was organized by her in 1974.” The ASF receives its finance by contributions from the university’s alumni because it is not an official arm of ADMU. 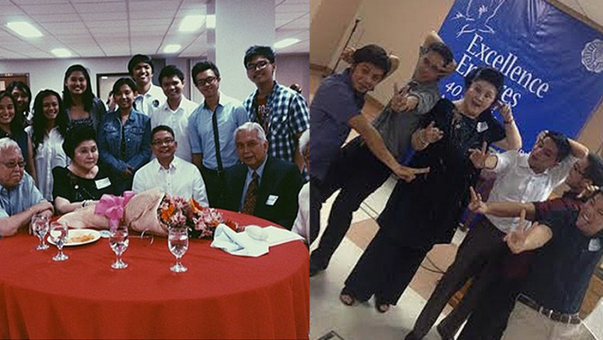 Netizens and alumni of the school got angry by the pictures of the former First Lady Imelda Marcos posing with Atenean scholars and alumi officials. Among these outraged Atenean is an Ateneo professor, Michael Liberatore who expressed his disappointment on the matter. "Had a hard time sleeping after seeing picture of Imelda as the guest of honor at an Ateneo scholarship fund event," he posted on Facebook, "Come tomorrow, I am supposed to return to school for the work week and participate in meetings and teach classes in which I strive with others to help our young people manifest values that our institution allegedly upholds in developing the nation? How can one possibly do this if Imelda is the guest of honor at a scholarship event under the rationale she helped start the fund before martial law?" To respond to the criticisms, Villarin said that the school “has not forgotten the darkness of the dictatorship years” and that it continues to adhere to the university’s principles. "Please know that in the education of our youth, the Ateneo de Manila will never forget the Martial Law years of oppression and injustice presided over by Mr Ferdinand Marcos,” He continued, “ We would not be catching up on nation building as we are today, had it not been for all that was destroyed during that terrible time and that we will not compromise on our principles in forming those who would lead the nation." Furthermore, the Ateneo president Villarin said the university has already learned its lesson and will be "more mindful" of those invited to the school's events.